Do you like salad? I do! I L-O-V-E different salad combos. And, I like to make them in BIG BOWLS so that I can pick off of it for several days. Here is my latest salad crush. 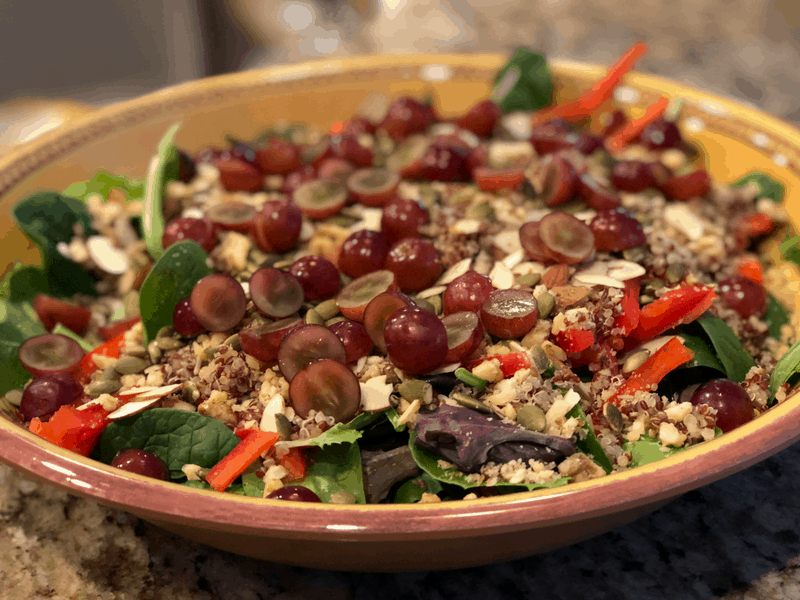 It’s a quinoa nut combo that is scrumptiously delicious and filled with layers of hearty goodness making it perfect for these cold winter months. What’s in it? Total Yumminess! NOTE: I actually make 1 cup of each measured uncooked & then measure out what I need for the salad and save the rest to use as a side dish and/or other kind of salad for the week. I love when things are done & ready for me to grab = easy. Layer 6: Light layer of Pepitas. What kind of dressing? I personally like all things balsamic & so that is what I top mine off with, but you can add your personal favorite. Voila! This finished salad is a crowd pleaser. Ready for more quinoa goodness? Or maybe you want to use the leftovers? 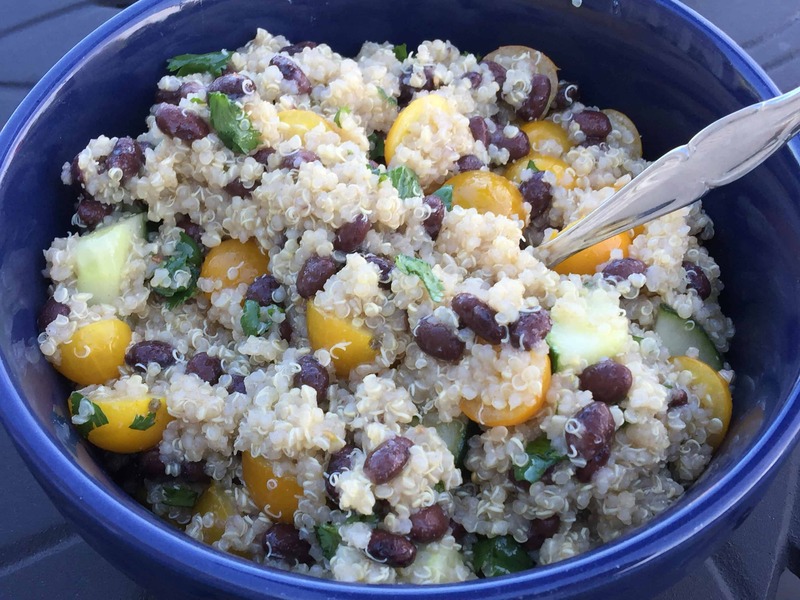 Here’s one of our favorite black bean quinoa salads & this is where mine are going (I usually have to hide some for myself ~ haha). Click here to grab the recipe. We love the quinoa brown rice mix…especially the spicy!! We will love your awesome Salad! Hope you are having a great week and thanks so much for sharing with us at Full Plate Thursday!